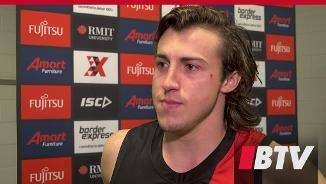 Essendon midfielder Andrew McGrath says the Bombers’ skill level in Sunday’s heavy loss to Greater Western Sydney “wasn’t up to AFL standard”. 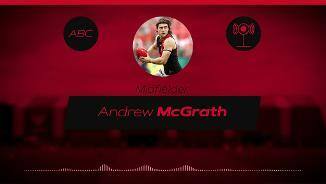 Get to know the lighter side to Bombers rising star Andy McGrath. Young on-baller Darcy Parish says an aggressive approach to the pre-season is a good sign of the competitive nature of Essendon’s exciting squad. 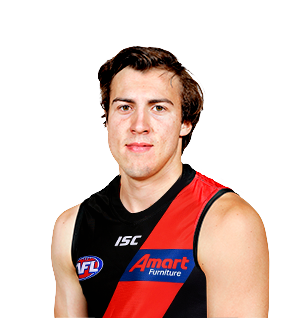 Young gun who backed up a remarkable inaugural AFL season with another impressive year for the Bombers in 2018. The 2017 NAB AFL Rising Star played 20 games in his second season, showing valuable versatility throughout the year when utilised in a number of positions. Pushing further up the ground after spending the majority of his first year in defence, the 20-year-old speedster became an important part of the club’s rotating midfield and was a dangerous player when heading forward on the odd occasion. 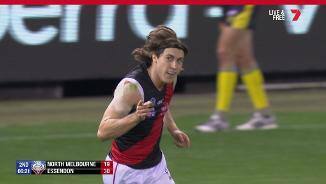 After returning in brilliant condition for the pre-season having added extra strength and speed to his game over the break, McGrath is expected to continue to improve and cause the opposition plenty of headaches.